Geocaching is an outdoor treasure hunting game that uses a smartphone or GPS device. Participants navigate to a specific set of GPS coordinates to find the prize – a hidden geocache container. 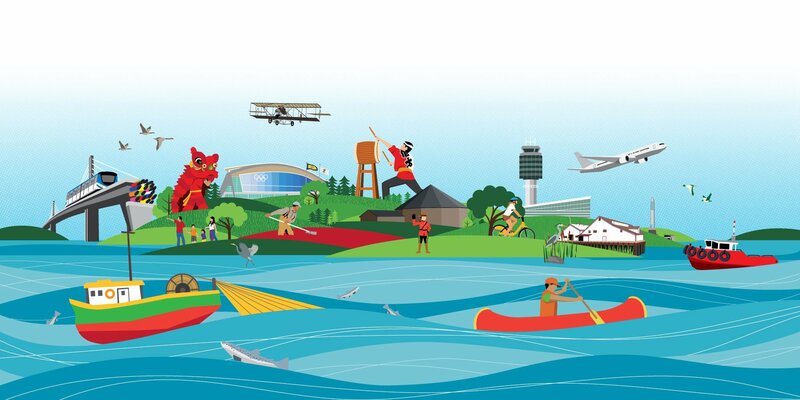 The City of Richmond GeoTour – Canada 150 Series comprises of 30 geocaches placed in celebration of Canada’s natural and cultural heritage. Participants are encouraged to explore the outdoors, learn about their community, and discover Richmond’s distinct, vibrant, natural, and cultural diversity. The first 150 participants who find all of the Canada 150 Series geocaches are able to redeem their completed passport for a limited edition Canada 150 trackable geo-coin. The City of Richmond GeoTour launches on May 6, 2017.